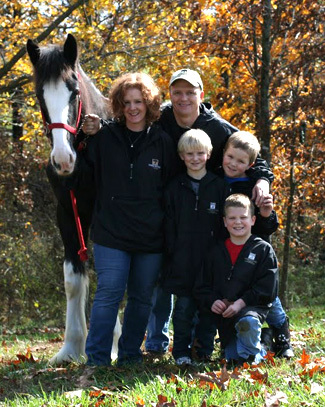 The farm is located in Kirksey, which is in the northwest part of Calloway County, near Murray, KY. I purchased from Dwaine Hale, who had acquired it from Harold Hurt, a local attorney. 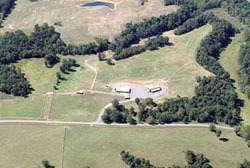 In years past, prior to Mr. Hurt owning the property, there were several small home sites on the farm. It was divided into several different segments over what it is today. After Mr. Hurt acquired the property, he had a fairly large and sophisticated cattle operation as well as a large confined hog operation. During maximal production, there were over 2,000 head of hogs on the property. 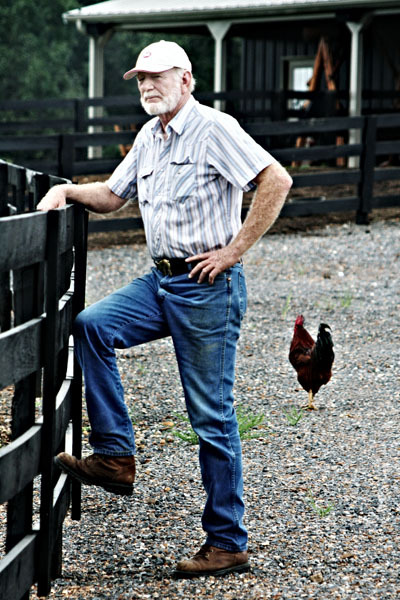 Growing up on my grandfather’s farm in Southern Middle Tennessee gave me a wonderful appreciation for rural living. I always had a great desire to either come back to that farm or buy property of my own and develop it into a homestead. After professional training took me away from my childhood home for several years, I entered into private practice in oral and maxillofacial surgery in Murray, KY, some three hours away from my home. I knew that buying land was my best choice for regaining the feelings for country living that I longed for. 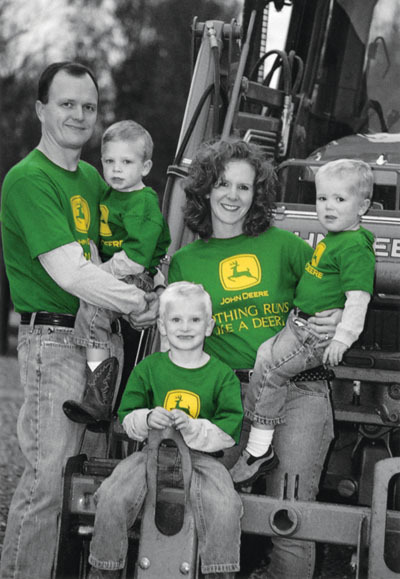 This would also provide an opportunity for my wife and three young boys to develop that same appreciation. Approximately one-and-a-half years after moving to Murray, I purchased 415 acres in the small community of Kirksey. I fell in love with the rolling hills of this area, which reminded both my wife and I of our homes in Middle Tennessee. There were also two beautiful estates adjacent to this property, adding to its appeal. These well-manicured homes and farms provided motivation for us to improve the appearance of our farm. The original state of the farm we purchased certainly left a lot to be desired! There are few that would have considered purchasing it, but we had a vision of what it could become. There was a confined hog operation complete with two large hog waste lagoons on the farm. The owner of the property was in the process of phasing out this hog operation, which he stated had become unprofitable for him to continue. However, we were able to look past the sites, sounds, and smells of the hog farm to visualize a future farmstead for our family. Although I enjoyed helping my grandfather raise hogs and cows, I was not interested in a large confined hog operation, particularly dealing with the waste management. The original owner began the cleanup process after all the hogs were sold. I soon took the lead in the cleanup process so that it would be completed to both my and the EPA’s high standards. I was awarded some state cost share funding to assist in this expensive effort. After several months of subcontracted companies running bulldozers, track hoes, scrapers, and irrigation equipment, the hog barns finally disappeared and the lagoons were emptied and filled and pasture reestablished. During and immediately after the reclamation project, I sought assistance from my local NRCS in Murray to enhance and protect the land, much of which had highly erodible soil, had been cropped with corn silage only and had had much timber removed. I was fortunate to receive cost share dollars through Eqip, CRP, FLEP (through the division of forestry) among others to assist in the restoration of this farm. I asked one of our county’s highly respected row crop farmers to tend about 200 acres for me. The former hog farm manager, Doug Sharp, was also employed as my new farm manager to oversee the reclamation and begin cleaning out sheds, fence rows, and keep the farm bush hogged. His familiarity with the farm and desire to help me improve the appearance of the property were reasons for his employment. He is a college graduate of Cal Polytechnic Institute. He is originally from Greenfield, TN. Doug has now become basically a member of the family! 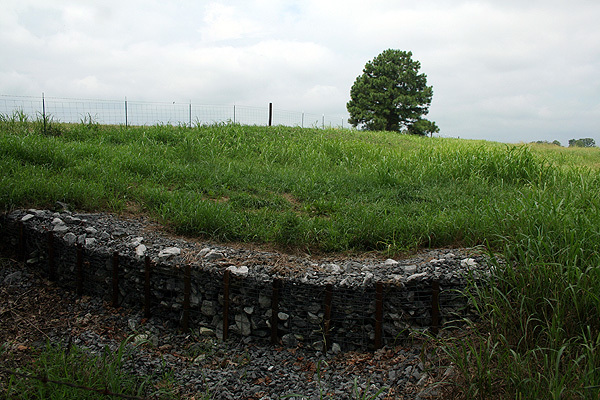 Multiple conservative measures were employed throughout the farm, including grassed waterways, grade control structures, and the planting of some 20,000 trees. In preparation for raising cattle, the largest existing shed on the property was equipped with corals as well as a cattle catcher. It was also rearranged to be able to be house farm implements including tractor, bush hog, and box blade. All gates and fences throughout the 400+ acres were repaired. I purchased several bred black Angus cows for beef production and introduced six Scottish Highland cattle to our neighborhood. These long-haired cattle are particularly enjoyed by my three young boys who keep them full on Little Debbie snack cakes. The boys are also enjoying our newest additions, two miniature white donkeys. Capitalizing on the euphoria of having the hog lagoons closed out, we moved forward with our next project: a multipurpose barn. The project was planned using ideas from multiple sources including ideas from my wife and I, Progressive Farmer magazine and associated publications, and Morton Buildings. 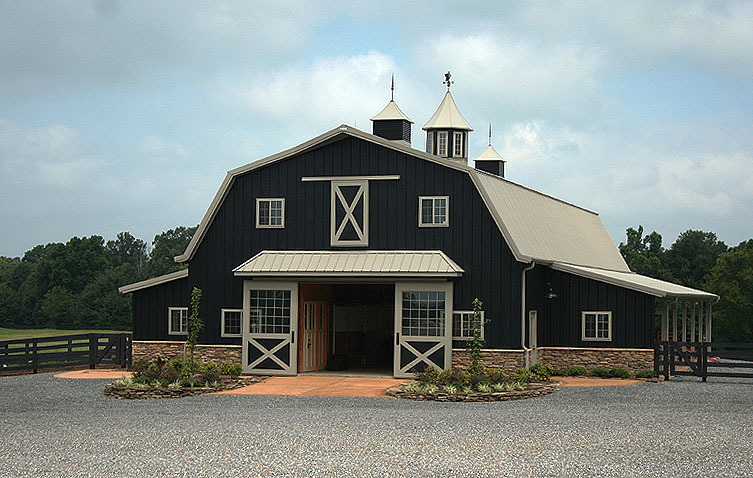 A 60 X 84 foot black, gambrel-style barn was constructed. The downstairs of the barn includes an office, bathroom, tack room, shop, feed room, and four 12 X 12 horse stalls. Upstairs contains an approximate 1,200 square foot finished living space and adjacent loft storage. Loft amenities include a full bath, kitchen, gas fireplace, and balcony with a beautiful view of the farm. 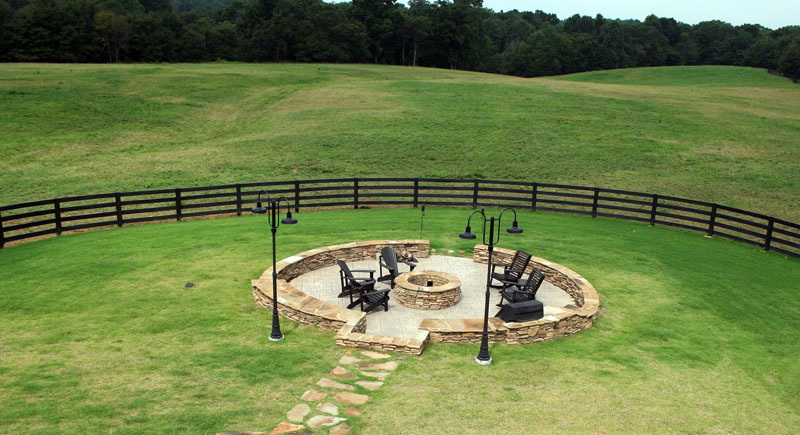 Adding flavor to the property is a patio under one of the barn side sheds with a walkway to a fire pit with a built-in grill. A restored antique gas pump was also installed adjacent to the barn. Additionally, a windmill was placed at the corner of the property with a 35 foot tower and a 10 foot mill. Future plans for our farm include placement of row crop acreage into the CRP and sowing native grasses. The Angus and Highland herd will be steadily increased in size. The pond that was constructed as an animal watering facility will be completed and stocked with fish with the assistance of the Department of Fish and Wildlife. The property has now been reclaimed and is being transformed into a homestead for our family that we, as well as our neighbors, will be extremely proud. We look forward to sharing many wonderful memories among our families and friends on this land. We have accepted the challenge to care for this land that we have the privilege of borrowing for a while. It has been said that “the goal of life is living in agreement with nature.” I hope to impart this goal to my children as my parents and grandparents did for me and to establish firm roots on this land. "Make your home a place where children want to visit. Create an atmosphere where people can relax and have fun, but a place where kids can learn responsibility - learning to make good decisions and stay out of trouble." Lagoon closure: We received Kentucky State cost share dollars for “corrective measures”. On the north side of the farm: CRP “Conservative Reserve Program”, continuous signup, multiple grade stabilization structures, grassed waterways and filter strips. EQIP (Environmental Quality Incentive Program) 1 acre pond for cattle watering facility, small pasture native grass planting, grassed waterway, grade stabilization structures, tree establishment. FLEP (Forest Land Enhancement Program) through Kentucky Division of Forestry: 25 acre tree planting (approximately 20,000 trees including multiple species of pine, poplar, and ash). PACE (Purchase of Agriculture Conservation Easement): through Kentucky Department of Agriculture and affiliated with the American Farmland Trust, set aside 175 acres on the north side of the farm with a perpetual agreement to not develop the land (only to be used for agricultural use). EQIP: Grassed waterway, tree establishment, pasture planting (41 acres). CRP: general signup: approximately 98 acres, 10 year set aside program, pasture sown down in orchard grass, redtop, timothy, clover, with a few acres of wildlife habitat.